Jakarta is a congested city with everybody busy and occupied with daily routines. Sometimes, the bustling atmosphere makes us forget that taking breaks is necessary. Timeout with your partner or significant other makes the activity more enjoyable and romantic. Yet finding diverse activities for couples in Jakarta can be quite challenging. Other than shopping centers and restaurants, options for exciting and interesting venues seem limited. However on further exploration, Jakarta has some hidden gems. Watching the sunset is best enjoyed with someone you’re fond of. This activity always brings tranquility and makes you relaxed all at the same time. Enjoy romance and spend one-on-one time at lake Setu Babakan, an artificial lake with 32 hectars area with water flowing from Ciliwung River. 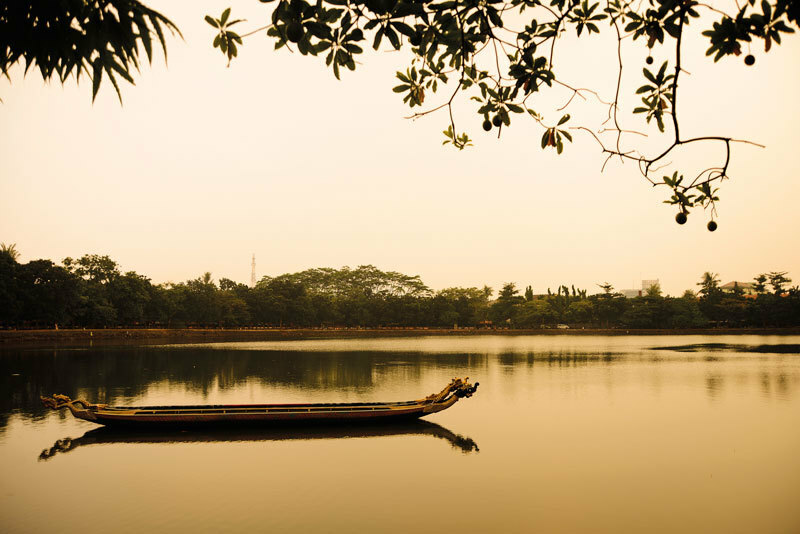 You can also rent the water bike with your partner and escape from the nearby surroundings. This park is known for its statues that were created by artists from ASEAN countries. 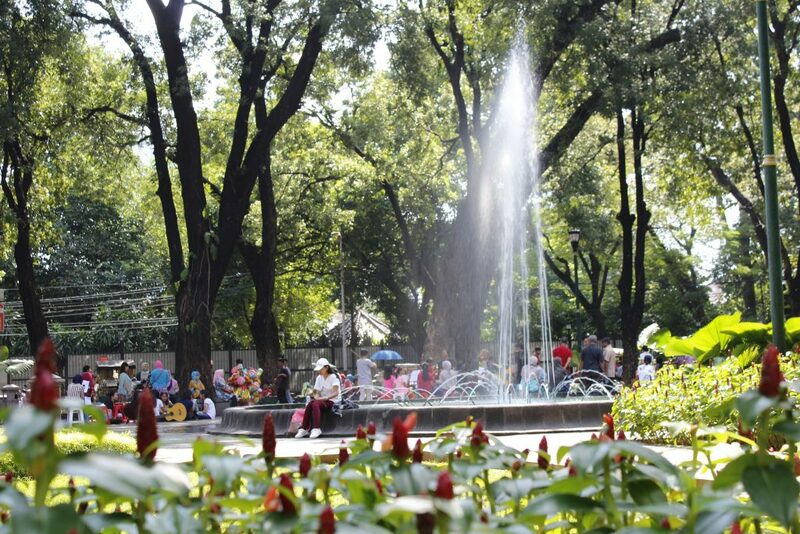 You will sense that Suropati Park is an oasis in the middle of Jakarta’s hustle and bustle. Relish on the beautiful fountain, the green and peaceful surroundings, the fresh breeze from trees while savoring your picnic meal with your partner. There, you can also feed the pigeons at the park. Situated at Westin Hotel, this restaurant claims to be the highest restaurant in Jakarta. 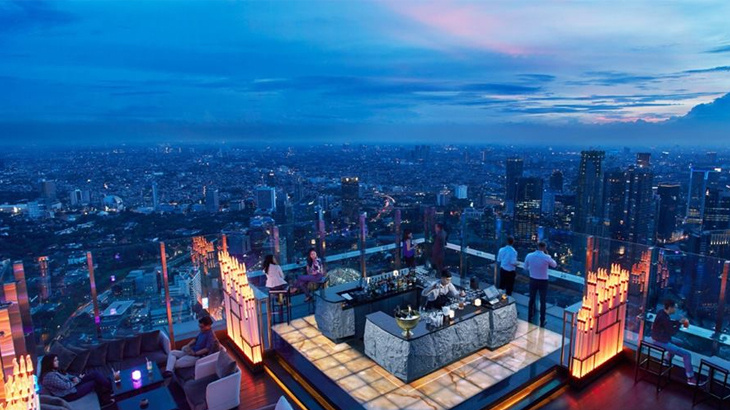 With the numerous fine dining restaurants in Jakarta, rooftop dining is a must-try experience. This restaurant will mesmerize you with the scene of urban city night lights and the glittery skyscrapers. This venue can also be an ideal option for a marriage proposal. After long hours at work, treat yourself at a spa to rejuvenate your mood and eliminate your weariness, especially if you come along with your partner. A couple’s spa is opportunity to strengthen your relationship in case both of you experience a rough day. 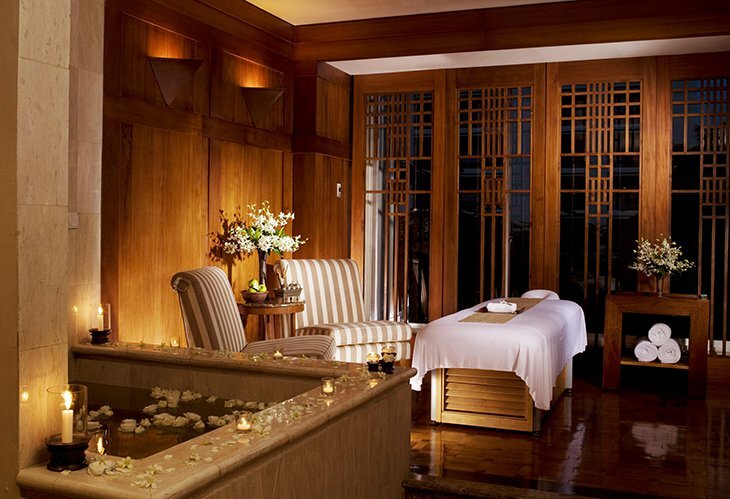 You may visit Bimasena Spa at The Dharmawangsa hotel in Jakarta. They present special treats where the couple can finish the spa with romantic dinner. The sound of music can sooth your mind from daily stress, especially Jazz. 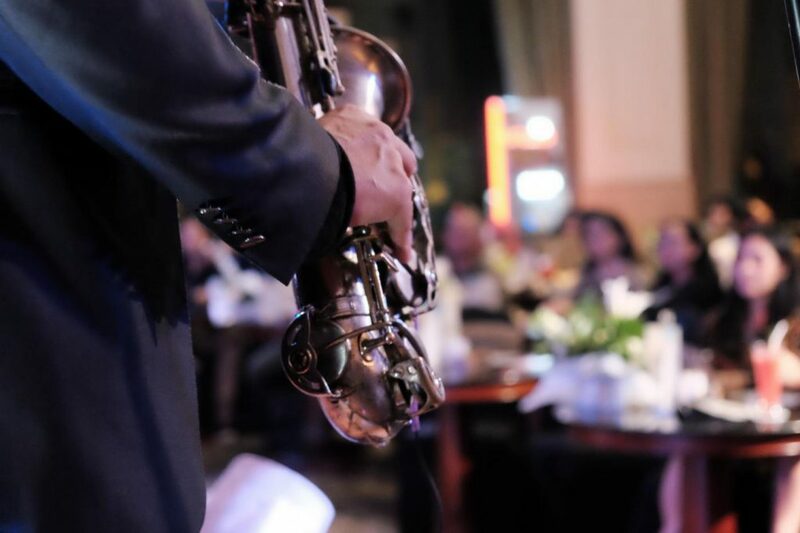 You can invite your dearest partner to listen to this music genre live at Motion Blue which is located at Fairmont Hotel Jakarta. Remember to look up their schedule first for their artist performances. They exclusively showcase both international and local musicians as well as serve delectable dinners for visitors. 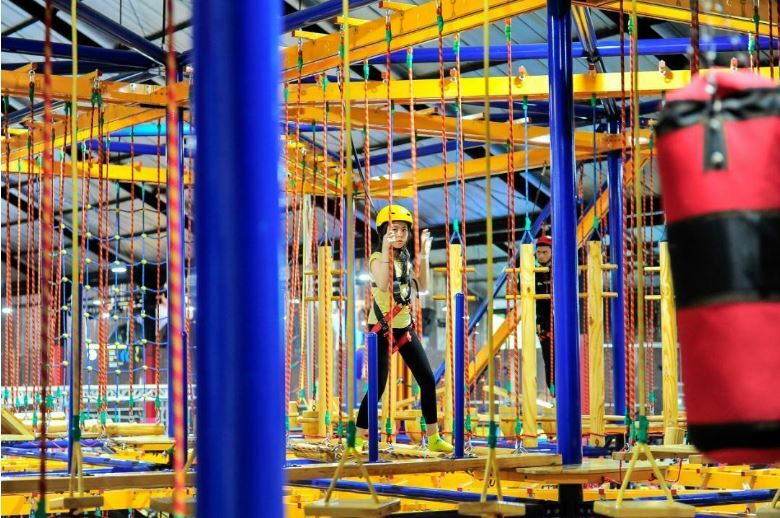 Nothing beats the temptation to visit indoor adventure park if both of you are a couple with kids or feeling adventurous. Houbii Urban Adventure Park is perfect for playing and exercising. When your kids are looking for their playground, burn your calories by bouncing your body off the trampoline arena. You can also use its indoor climbing, dunk arena and ninja obstacle to have fun with your loved ones. Do suggest these activities to your partner instead of a movie date or hanging out at regular cafes and restaurants. Trying something new and exciting can strengthen the relationship bond between you and your partner and reignite romance. Feel free to express your love to each other as you come up with new dating ideas. What are your experiences for dating activities in Jakarta? Tell us below!